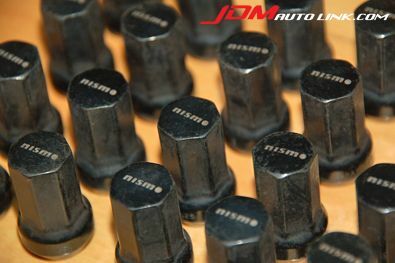 We have a set of used Nismo S-Tune Wheel Lug Nut Set for your Nissan. 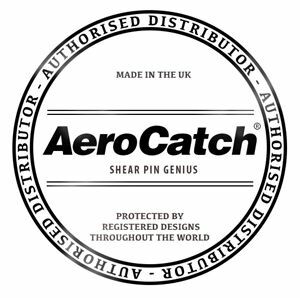 The size of these nuts are 34mm in length with a bore thread depth of 25mm. The size and pitch is M12 x P1.25. 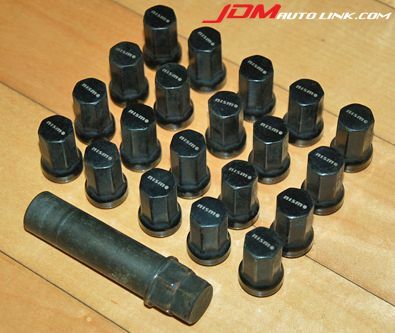 These are the perfect lug nuts to dress up your car/wheel. Each of the lug nut have the Nismo logo printed on. 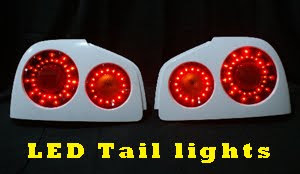 A wrench adapter will be included as well.